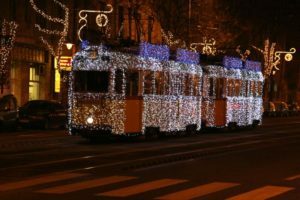 For your Budapest Christmas holiday you can use the 2018 Christmas Streetcar Schedule to plan ahead your tram ride on the festive, illuminated Xmas Streetcar of the city of Budapest. 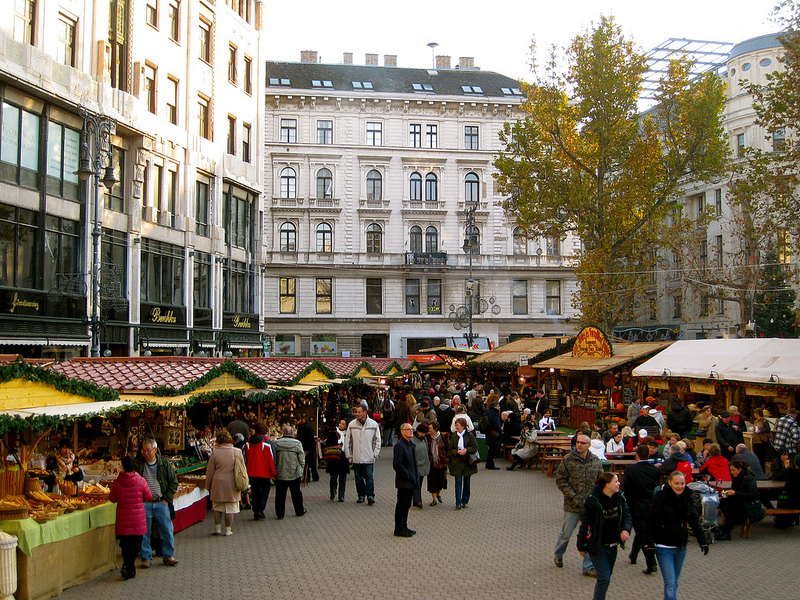 You can save the timetables for your mobile or tablet, and choose from several routes. 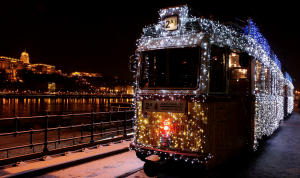 Without a doubt, the most popular of all Christmas Streetcars in Budapest is Tram number 2, which is running along the river Danube, offering beautiful views of the cityscape and the UNESCO attractions along the Pearl of the Danube, one of the longest rivers of the European continent. 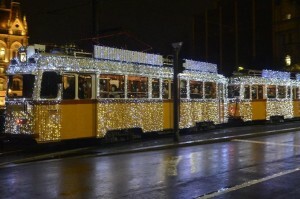 Tram 2 stops include several highlights of the city, mostly from the 19th century, like the Margaret Bridge, the Hungarian Parliament, the Hungarian Academy, the Gresham Palace, the Pesti Vigado Concert Hall, or the contemporary futuristic building of the Whale. 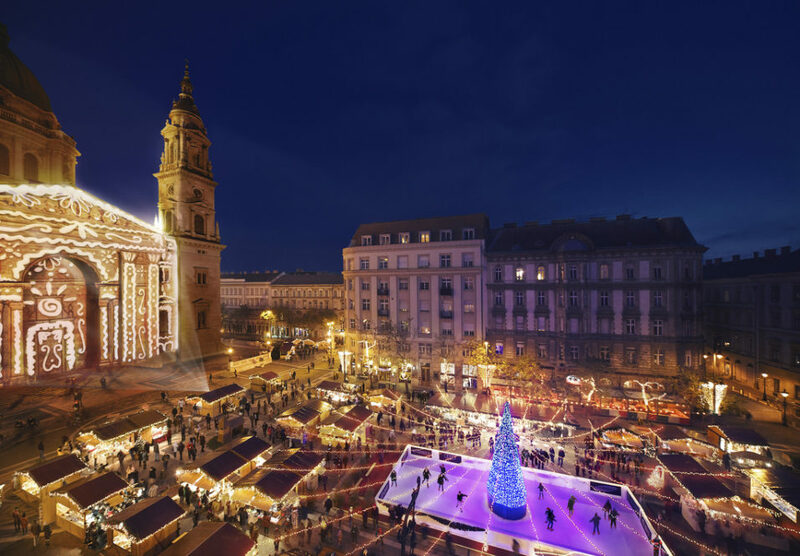 Route of stops: Kelenfold Train Station – St. Gellert Church – Csoka Street – Karolina Road – Kosztolanyi Dezso Square – Moricz Zsigmond Korter – Gardonyi Square – St. Gellert Square – Fovam Square – Kalvin Square – Astoria – Deak Ferenc Square. 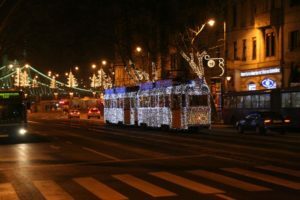 There is no surcharge to travel on the Budapest Christmas Streetcar, you can use your Budapest Card or public transport travel pass, tickets as on any vehicles of the BKV company in Budapest.